Before you create an email account you will need to log into your control panel via StudioCoast or the HostControl login. 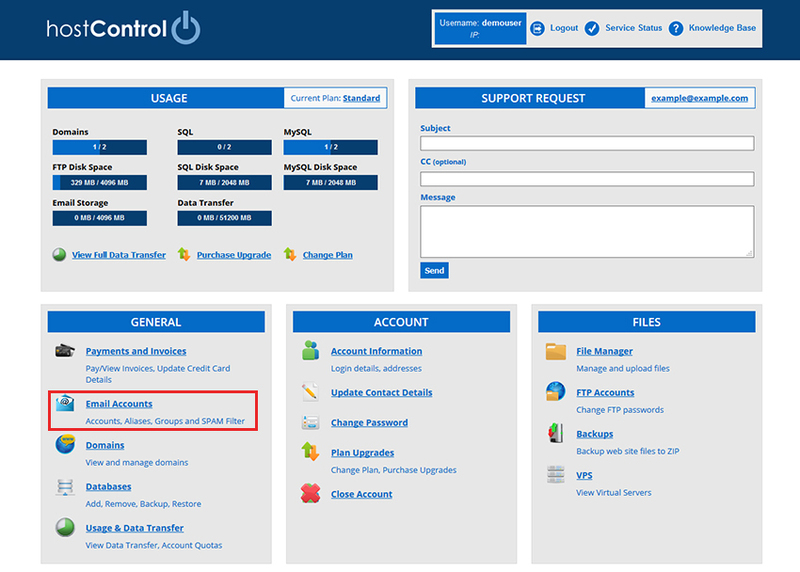 Login to hostControl and select "Email Accounts" from the menu, under the "General" section. Choose your domain from the drop down menu and then select "Add Email Account" underneath the list of existing email accounts. 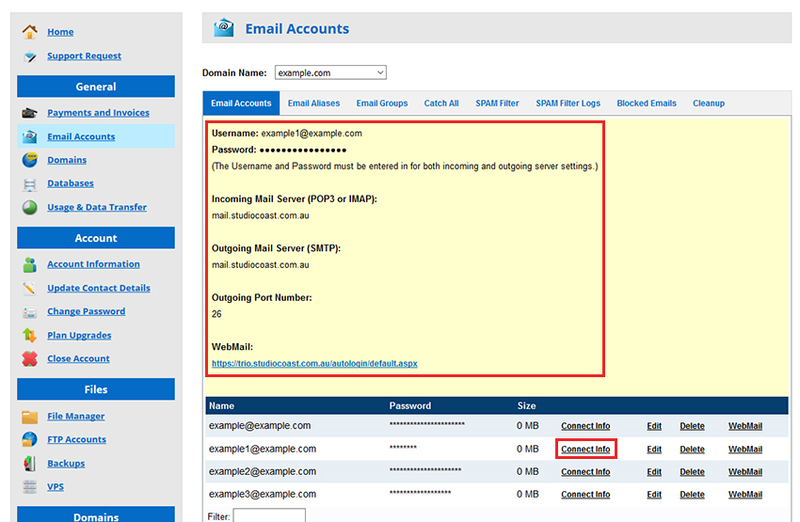 Enter the email account prefix name and the password and select "Create Email Account". The password must contain one upper case letter and number. Otherwise you can use the randomly generated password that is provided. Your email account should now appear in the list. If you need to set up the account in a mail client (such as outlook or your phone), you can select "Connect Info" (Connection Information) to the right to see the connection details to use.